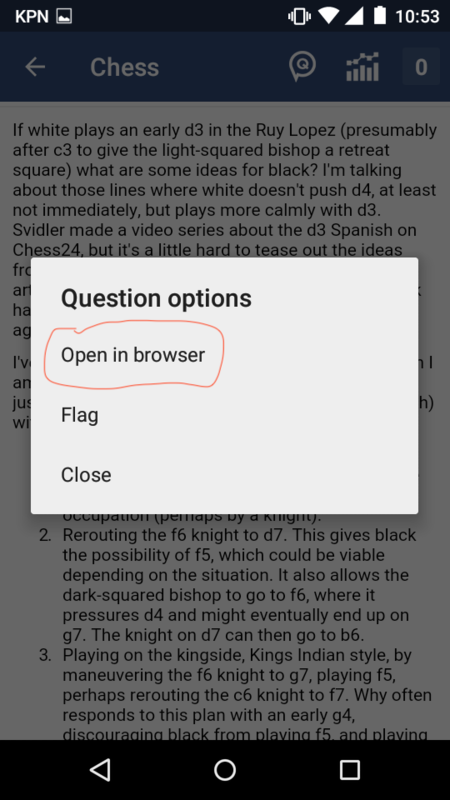 Can we render the chess board in the Android SE app? It would be valuable and useful. Today, it is hard to answer and view questions that concern concrete positions. and (if necessary) scroll down to the bottom to switch from the mobile theme to the new responsive design, by clicking the 'full site' link in the footer. Not the answer you're looking for? 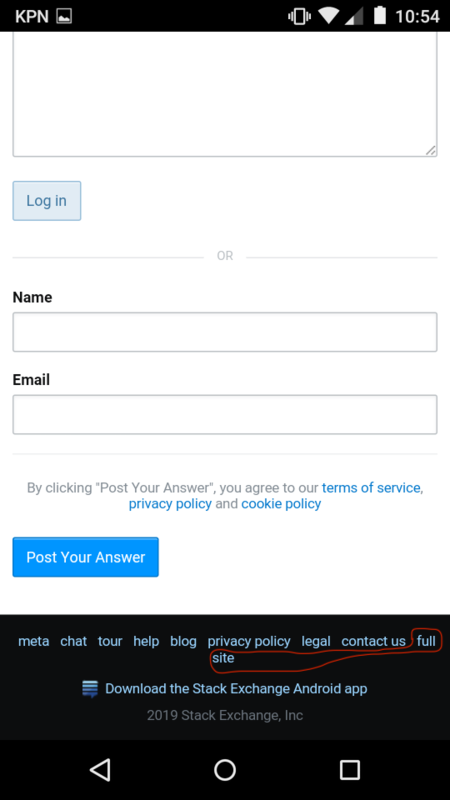 Browse other questions tagged feature-request pgn-viewer . 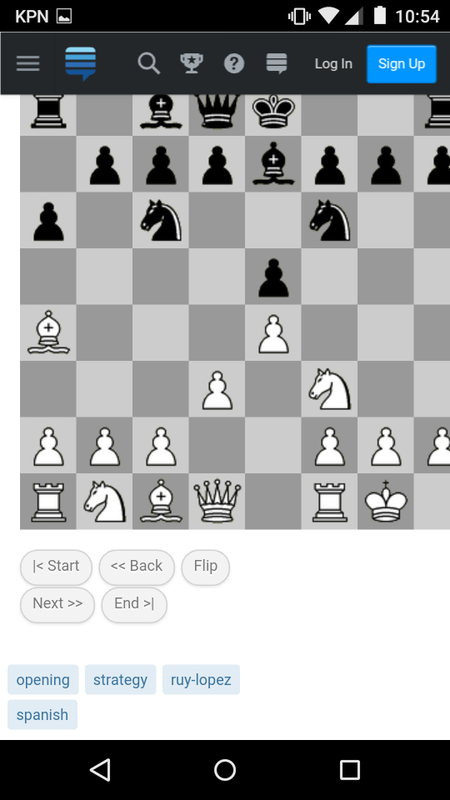 Can we implement a replayer for chess analysis on the site? Could we implement a chess diagram/sequence tool? Why don't we use this board instead? 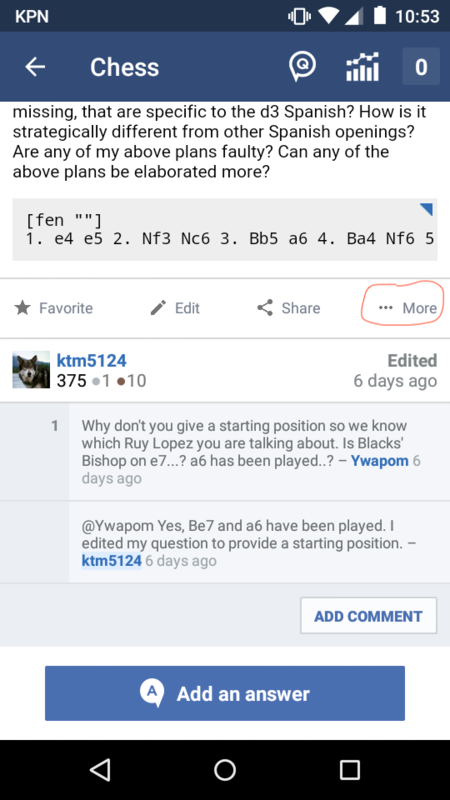 Can i post an annotated PGN chess board in chess.stackexchange.com? How to change PGN Viewer board orientation to perspective of side not-to-move?